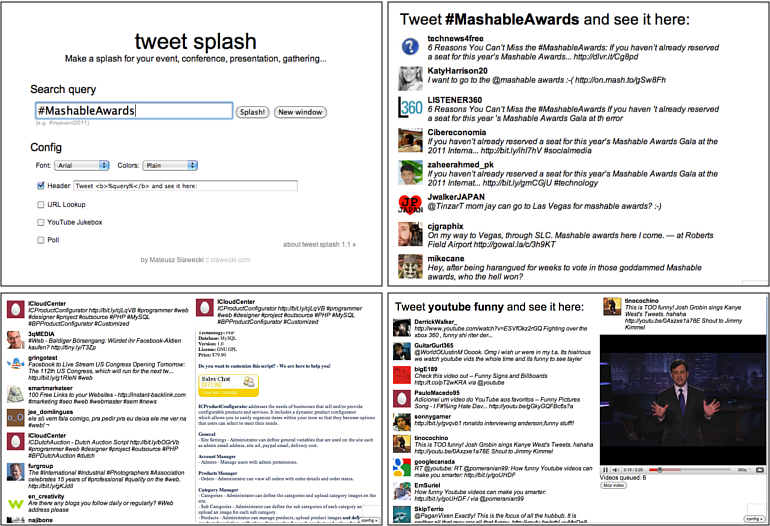 Tweet Splash is also a YouTube API, Google Mobilizer mashup. Everything is embedded in one file, easy to customise, great for playing around with Twitter Search API. This scenario is for people who want to put their Macs to sleep after a certain activity that you know will take ‘x’ amount of time, like: watching a movie, downloading a file. In other words: auto shutdown Mac after certain amount of time. Save it somewhere in your path, if you can (enabling and using “root” user in Mac OS X), remember to do a ‘chmod +x’ on the file and you’re ready to go. If you don’t want to use “root”, put it somewhere in your user directory e.g. make a directory “scripts” in “Library” and put your script there. Let me know, if you have any good ideas on modifying that script!